Learn about the menu and find out what it's like to eat in the Leaky Cauldron in The Wizarding World of Harry Potter - Diagon Alley in this in-depth Leaky Cauldron Dining Guide. 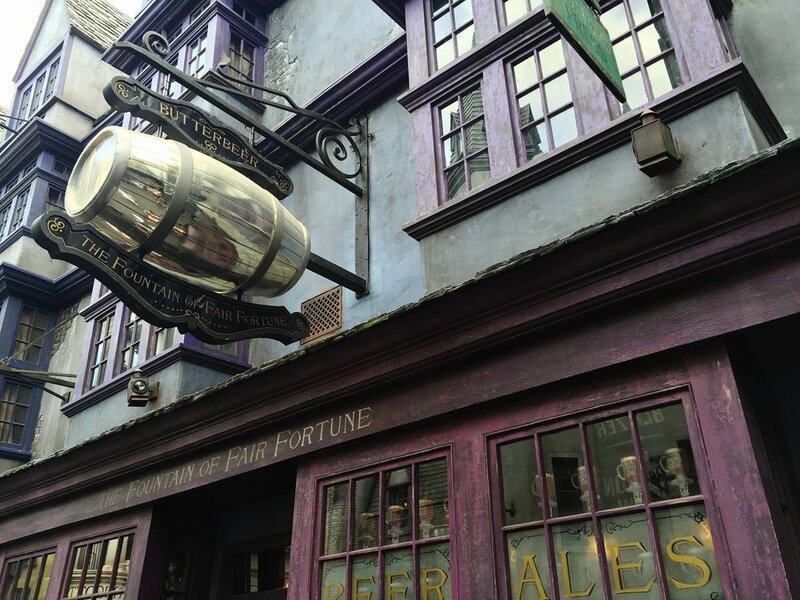 This Guide to Florean Fortescue's includes dining tips and info about the ice cream menu and prices at Florean Fortescue's Ice Cream Parlour in The Wizarding World of Harry Potter - Diagon Alley. The London Taxi Hut is a walk-up counter in the London area of Universal Studios Florida. Learn about the snacks and beverages on the menu. Lard Lad Donuts is a Simpsons themed donut counter. Learn more about the treats available at Lard Lad Donuts. This Simpsons themed location offers healthy grab-and-go items. 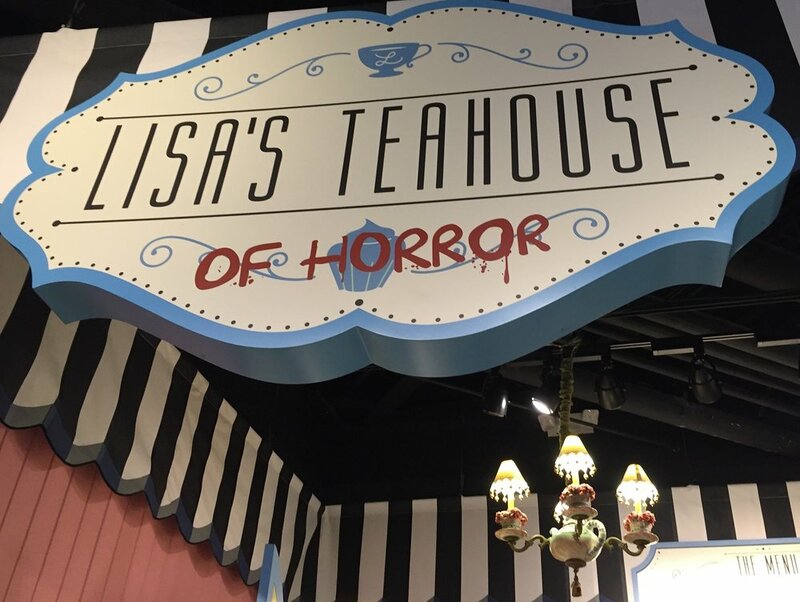 Learn more and see the menu in Lisa's Teahouse of Horror Dining Guide. See prices, get dining tips, and learn about the Simpsons themed menu at Cletus' Chicken Shack in this Cletus' Chicken Shack Dining Guide. Bumblebee Man's Taco Truck is a Simpsons themed food truck. Learn more about the food in our Bumblebee Man's Taco Truck Dining Guide. Krusty Burger is the flagship restaurant of Springfield. 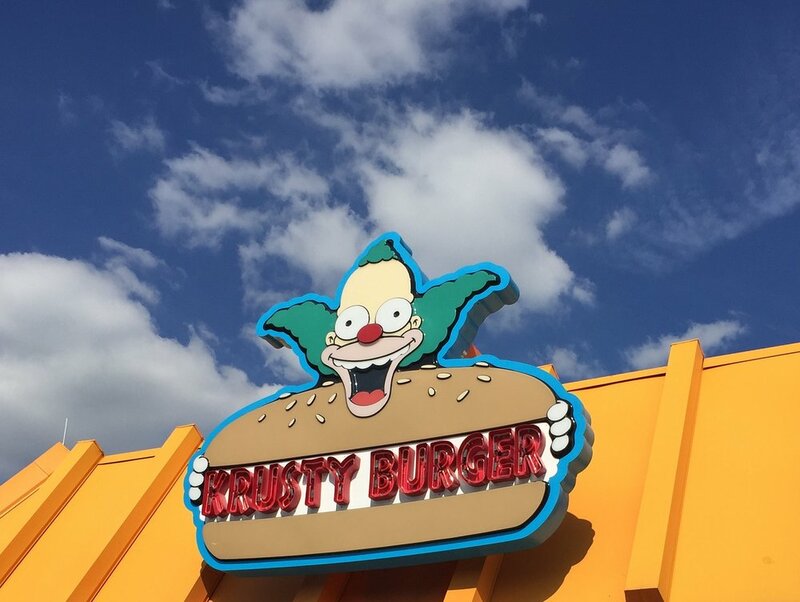 Learn more about the Simpsons themed menu in this Krusty Burger Dining Guide. Yarrrr! This Simpsons themed restaurant serves a range of seafood. 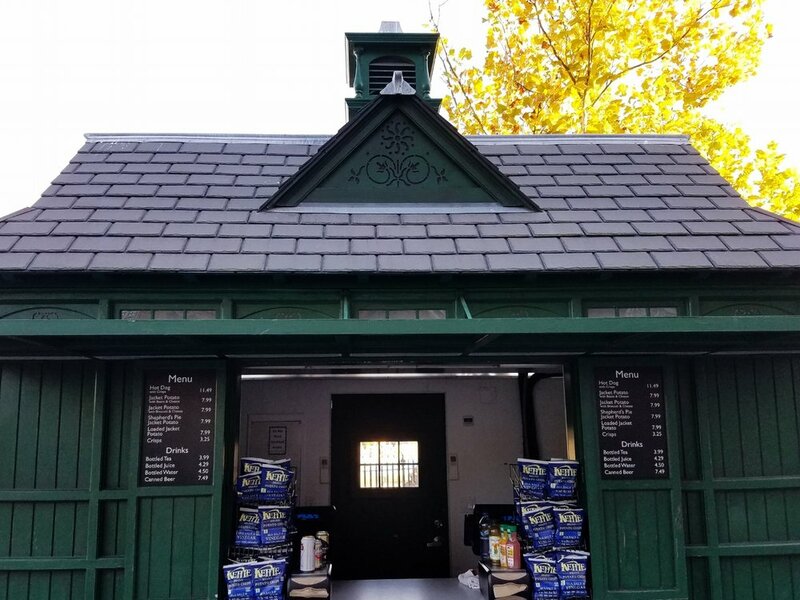 Learn about the menu offerings in The Frying Dutchman Dining Guide. Luigi's is the place to get pizza in Springfield. Learn more about the Simpsons themed menu in this Luigi's Pizza Dining Guide. 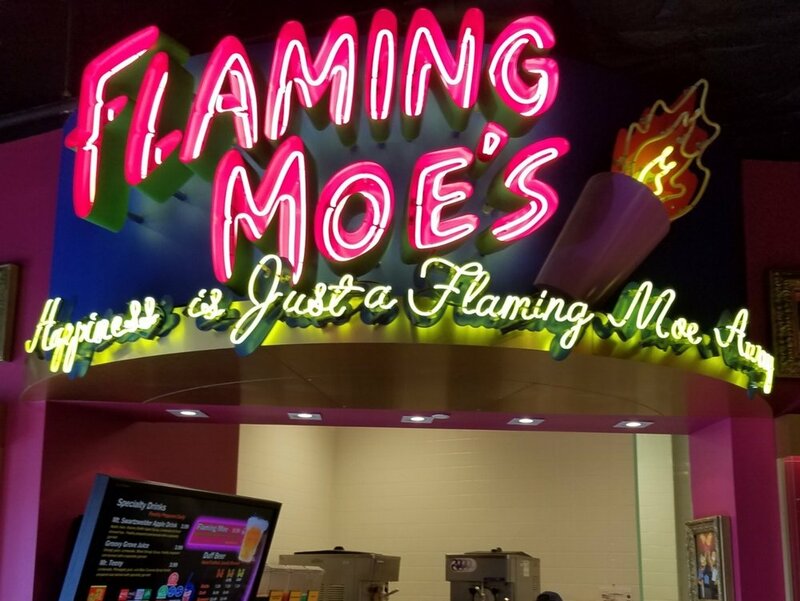 Learn about the menu at Flaming Moe's and see a review of all of the Simpsons themed drinks. Learn about the menu and theming in the Three Broomsticks in The Wizarding World of Harry Potter - Hogsmeade. Read about Harry Potter themed beers and learn how to order off menu at the Hog's Head in The Wizarding World of Harry Potter - Hogsmeade. 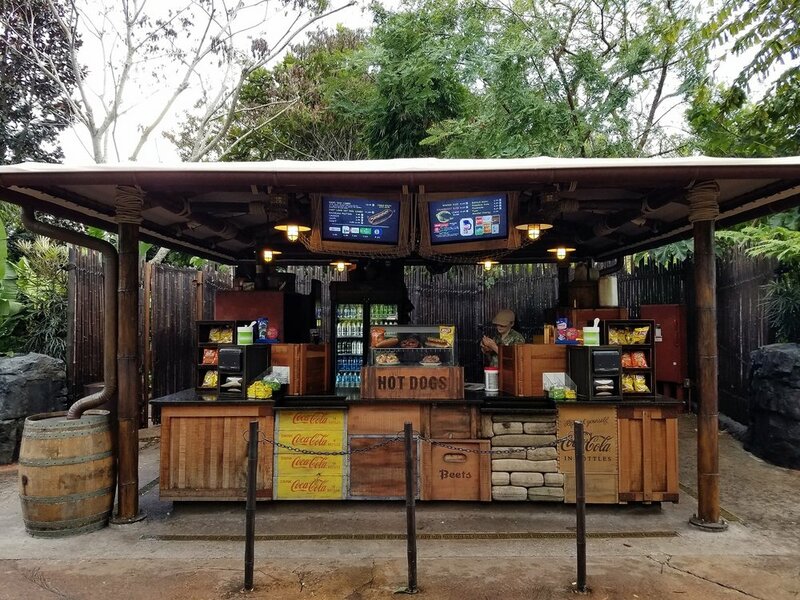 Learn about the snacks and the drinks that you can get at The Watering Hole, an outdoor, walk-up food and drink counter in Jurassic Park. 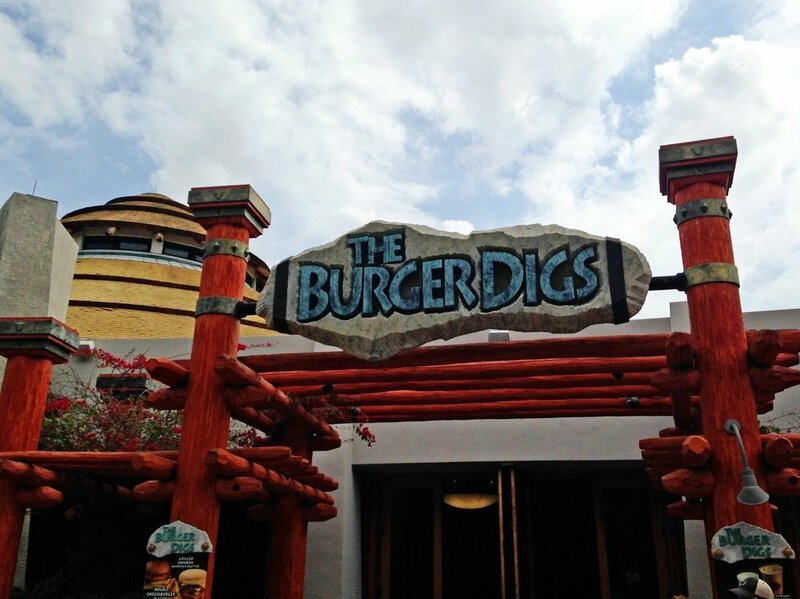 The Burger Digs is a quick service restaurant in Jurassic Park. Learn more about the menu and location in our Burger Digs dining guide. Pizza Predattoria is walk-up food counter in Jurassic Park. Learn more about the menu and prices at Pizza Predattoria. Thunder Falls Terrace is known for having better than average food. Learn more about the Thunder Falls Terrace menu and dining area. See a review of Mythos Restaurant, get food recommendations, and learn more about the menu and prices in this Mythos Dining Guide. See what's on the menu and learn about dining at Doc Sugrue's Desert Kabob House in Lost Continent. Fire Eater's Grill is located in Sindbad's Bazaar in Lost Continent. Learn more about the location, menu, and hours. 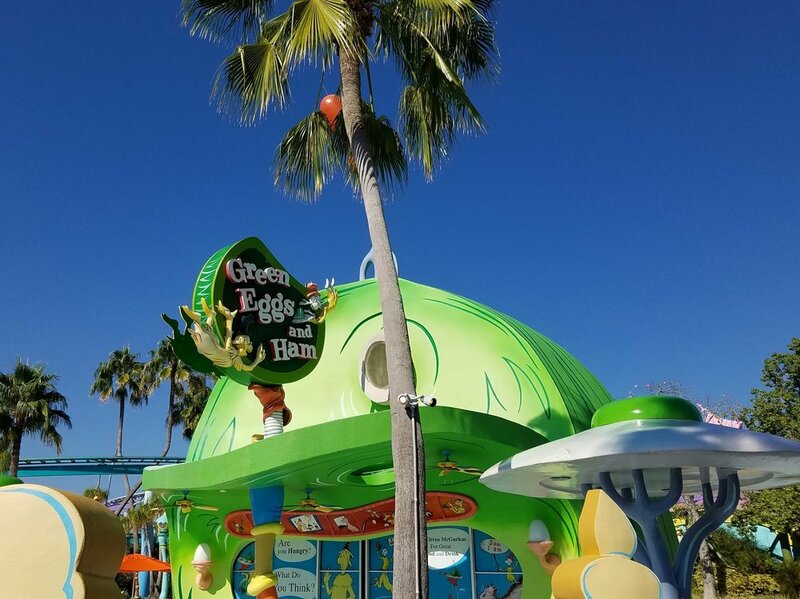 The Green Eggs and Ham Cafe is a seasonal restaurant in Seuss Landing. Learn about food offerings and more. See the menu at The Circus McGurkus Cafe Stoo-Pendous and learn about theming and special events at this Seuss Landing restaurant. 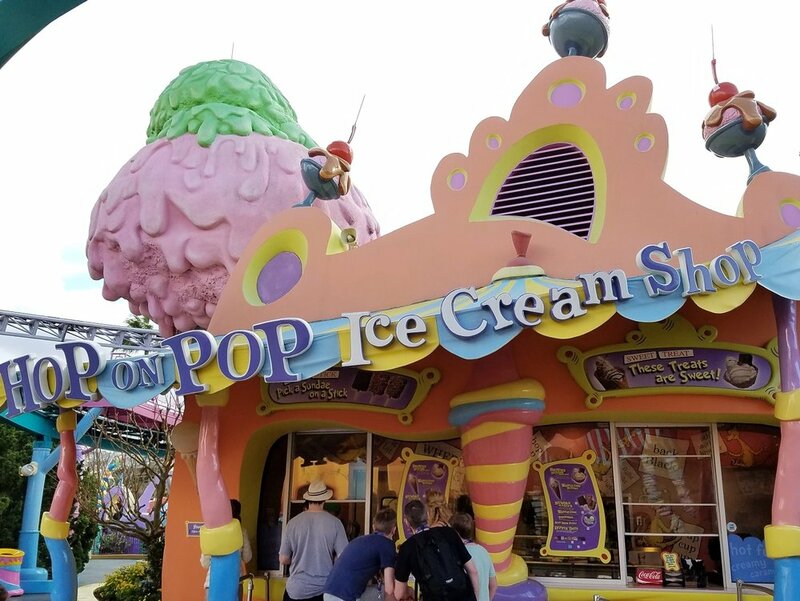 The Hop on Pop Ice Cream Shop is a good place to get cool treats in Seuss Landing. Learn about the ice cream offerings and prices. Are you a Moose or a Goose? Find out in this guide to the sweets, treats, and unique drinks at Moose Juice Goose Juice in Seuss Landing. 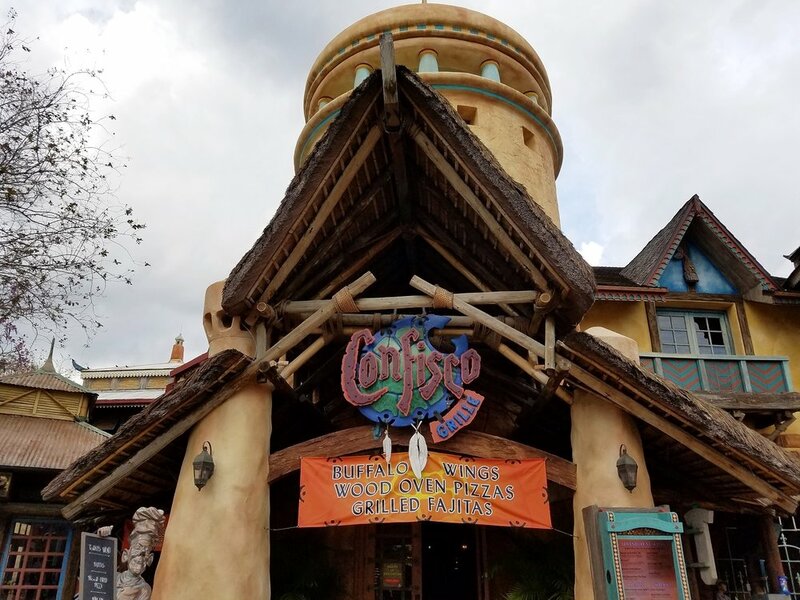 Confisco Grille is a full-service restaurant in Port of Entry. Learn about the menu, theming, and more. Learn about the breakfast items, sandwiches, pastries, and drinks at Croissant Moon Bakery in Port of Entry. See menus, food pics, and more in this guide to dining at Cafe 4, a restaurant in the Fantastic Four headquarters in Marvel Super Hero Island. 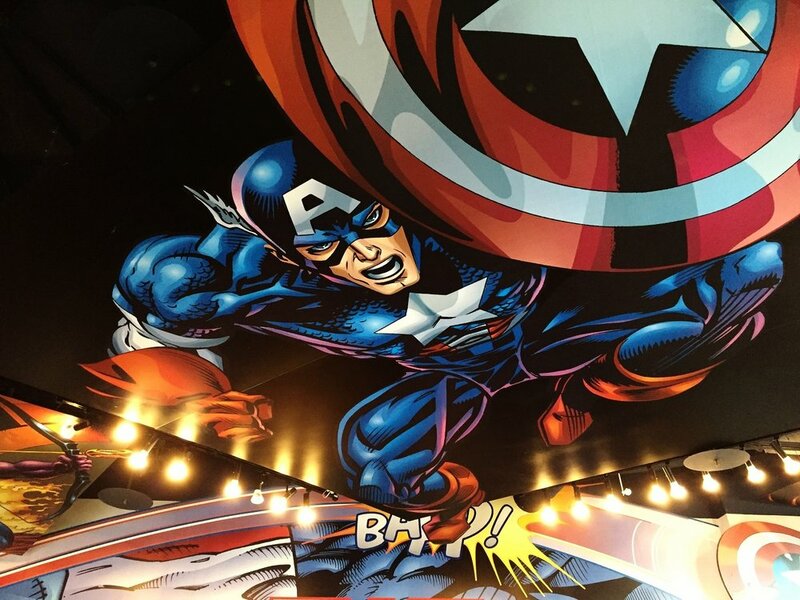 Learn about the theming and the All-American menu at the Captain America Diner in Marvel Super Hero Island. Chill Ice Cream is a walk-up ice cream counter in Marvel Super Hero Island. Learn about the menu options and prices. Learn about the unique menu at Comic Strip Cafe in Toon Lagoon and get info on the theming in this dining guide. Wimpy's is a seasonal restaurant in Toon Lagoon. Learn more about the menu and prices in this dining guide. Blondie's is a sandwich shop in Toon Lagoon. Learn more about the menu and prices in this dining guide. Cathy's Ice Cream is a walk-up ice cream counter in Toon Lagoon. Learn more about the menu and prices. The Mess Tent is a food stand near Skull Island: Reign of Kong. Learn more about the food offerings and prices. Learn about the menu and location of Kohola Reef Restaurant & Social Club in Volcano Bay. Learn about the menu and location of The Feasting Frog in Universal's Volcano Bay. Learn about the menu and location of Bambu in Universal's Volcano Bay. Universal CityWalk Orlando has many dining options. Learn about prices and menu offerings at CityWalk restaurants. Find out how much you can expect to pay for appetizers, entrees, kids meals, and desserts with this CityWalk food price cheat sheet. Looking for a good burger in CityWalk? Check out our list of the Best 10 Burgers in Universal Orlando. Learn about the menu and souvenirs at New Dutch Trading Co. in Loews Sapphire Falls Resort and see a review of the food. Learn about the menu and specialty drinks at Strong Water Tavern in Loews Sapphire Falls Resort and see a review of the food. Learn about the menus at Amatista Cookhouse in Loews Sapphire Falls Resort and see a review of the breakfast buffet. Learn about Cabana Bay's Bayliner Diner, see menus with prices, and get a review of the food. See menus with prices and learn more about Cabana Bay's poolside Hideaway Bar and Grill. Swizzle Lounge is the lobby bar at Cabana Bay. See the drink menu with prices. 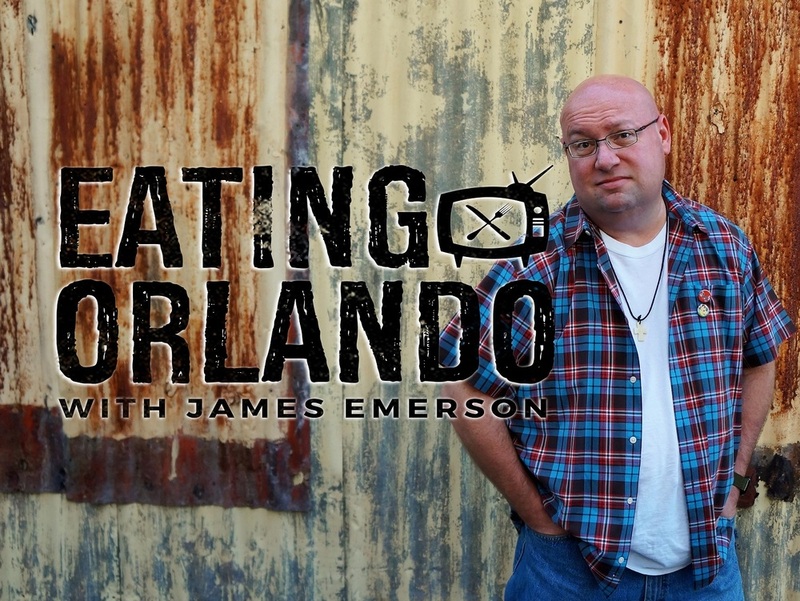 Get Orlando restaurant recommendations and money-saving tips in this interview with James Emerson of Eating Orlando.